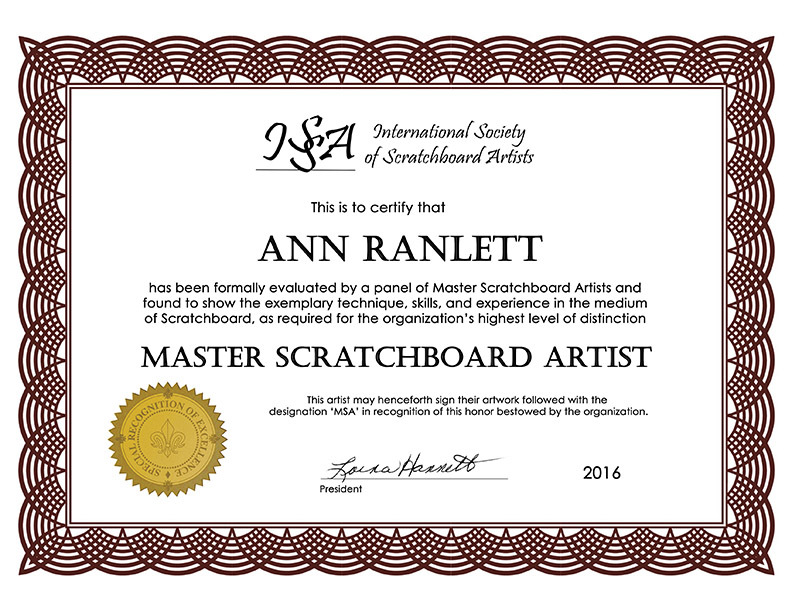 The results are in, I’ve been awarded Master member status (MSA) in the International Society of Scratchboard Artists. It’s an incredible honor to be recognized for my achievements in scratchboard and my dedication to this medium that I love so much! For more information, please read my press release. This entry was posted in memberships, press release, publicity. Bookmark the permalink.